In today’s dynamic entertainment environment, hundreds of movies release each year in Bollywood and find it difficult to stay afloat amidst the tough competition. The marketers behind these projects are forced to search for innovative ways to draw their audience towards the theaters. With a change in growing trends, the marketing approach in Bollywood is changing too. New media is the latest platform to market movies. Movie websites, Social Networking Sites, blogs, mobile phones and games are the recent new media tools being used for revenue generation. 2. Content: If the content of the film is unique and is well depicted in a storytelling format, then the film will attract the target audience.The story and music acts as a driving force for bringing your audience to the cinema theater. 3. Want Global? Tell Local: Tamil film-maker Anurag Kashyap says: “If you want to get a global audience, tell them a local story” This sentiment that would find resonance with independent film-makers of today. 4. Shorter Films: These days people find it easy to invest 2 hours for a worthy feature film rather than spending 3-3.5 hours on a feature film. These days the audience wants a film which is crisp in storytelling and should be engaging. Extreme of any emotions are not welcomed these days in cinema. The film should convince its audience that their time has been invested for the right purpose. Shorter the film, happier your audience will be. Simple! 5. Instant Review On The Latest Film: Usually people prefer watching a film which gets the maximum rating and is highly appreciated by the audience. They rely on the rating given on media portals like IMDB etc. So, the best way to bring the positive approach to your dream project, is to use social media marketing and good marketing strategy. 6. 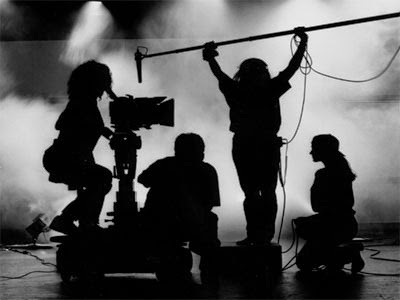 Promoting On TV, Road…etc: Film promotion meant giving interviews to the print and electronic media. Today, it entails appearing on reality and talent shows on television, doing road shows and city tours, and bragging about the business (after a film’s release) by doling out or announcing gross collection figures – and usually passing those collections as distributors’ shares!